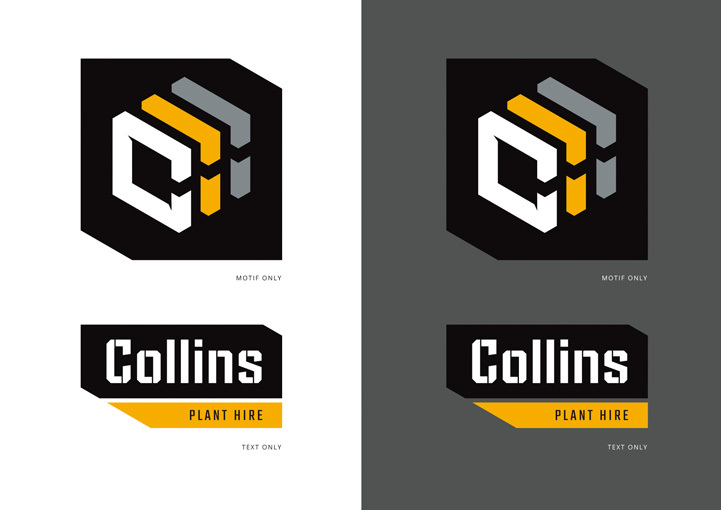 Collins Plant Hire logo design in Cong, County Mayo created by the Zetagram graphic design service. 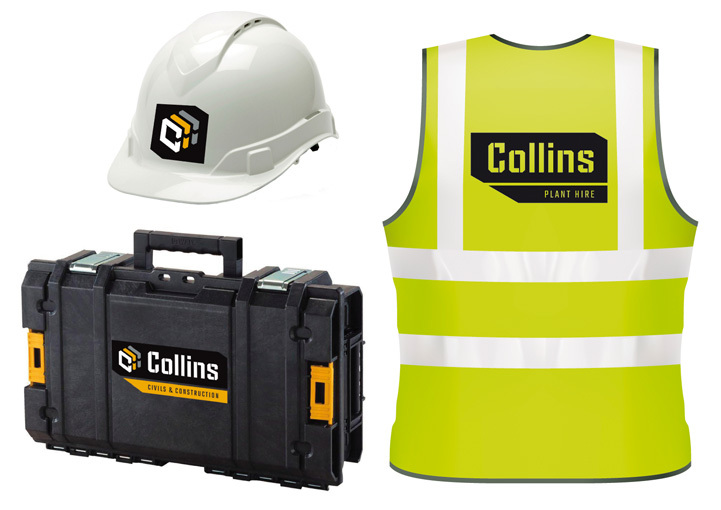 Collins Plant Hire brand design in Cong, County Mayo created by the Zetagram graphic design service. 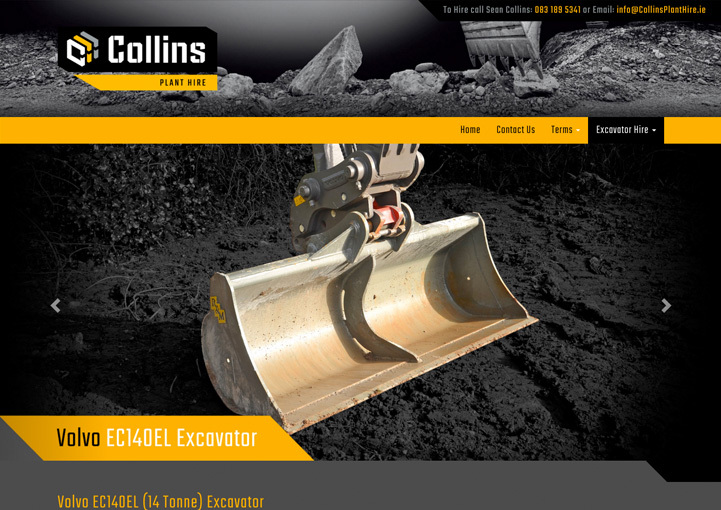 Collins Plant Hire concept design in Cong, County Mayo created by the Zetagram graphic design service. 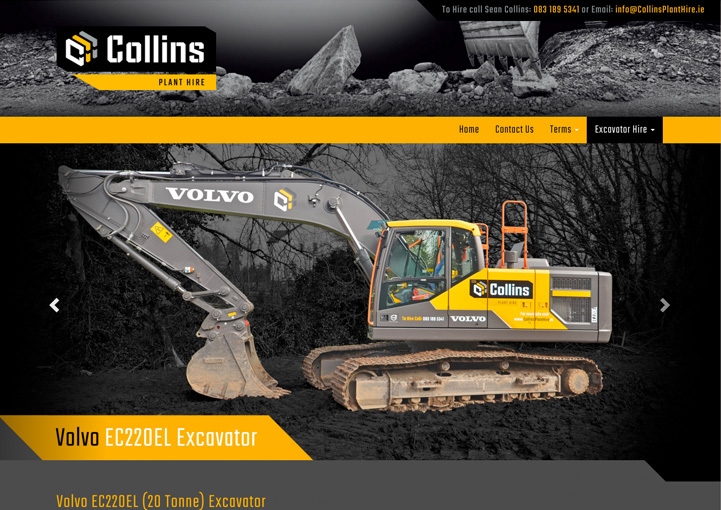 Collins Plant Hire fleet graphics design in Cong, County Mayo created by the Zetagram vehicle graphic design service. 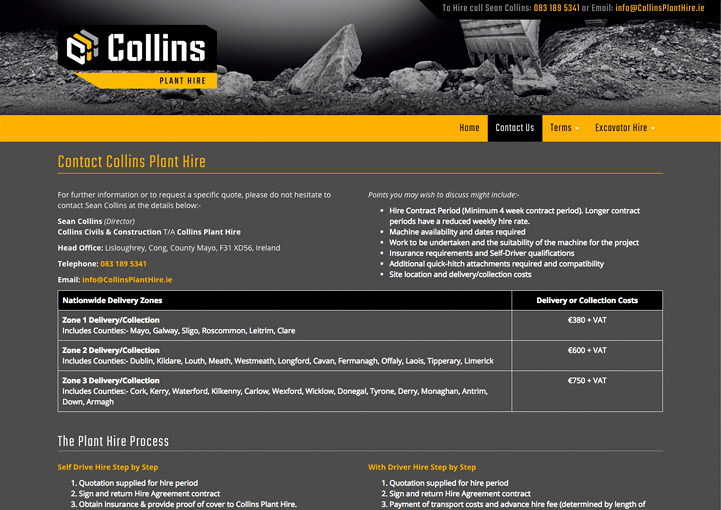 Collins Plant Hire website design in Cong, County Mayo created by the Zetagram web design service. 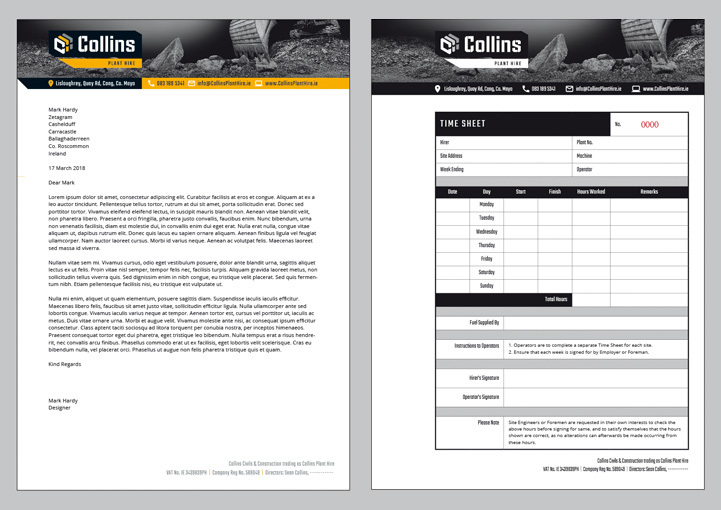 Collins Plant Hire letterhead design in Cong, County Mayo created by the Zetagram stationery design service. 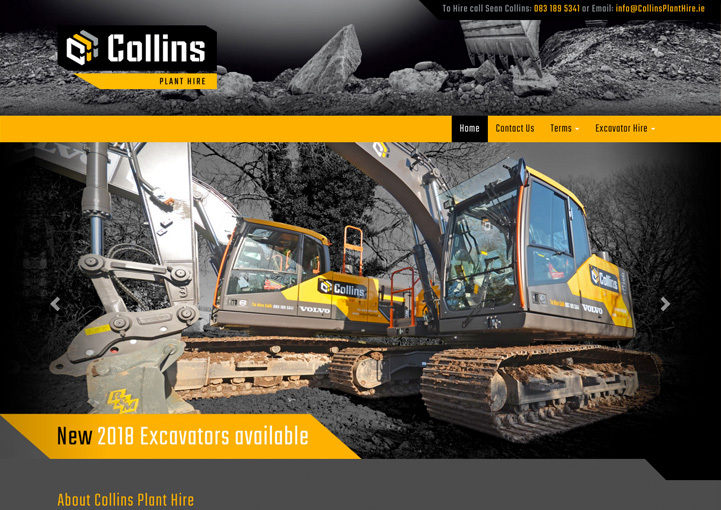 Collins Plant Hire was a start-up business based in Cong, County Mayo, that provided long-term hire contracts for heavy plant equipment nationwide across Ireland. 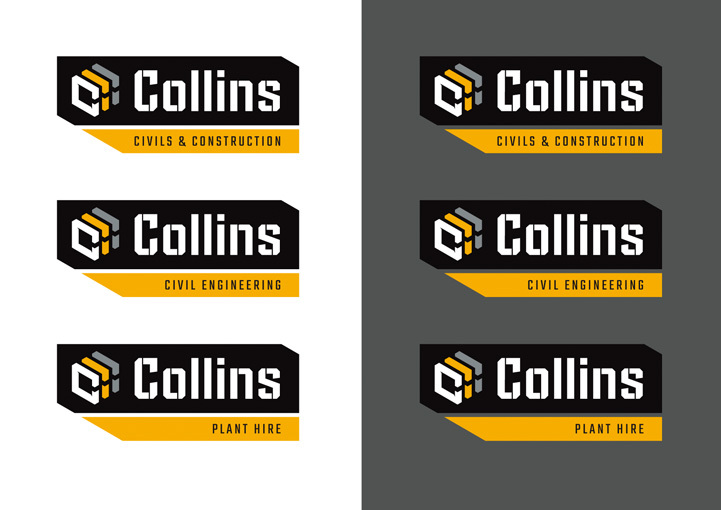 The plant hire business was a new venture by Collins Civils & Construction, and the initial brief to Zetagram* was to develop an adaptable corporate identity to present a consistent business image across the board. 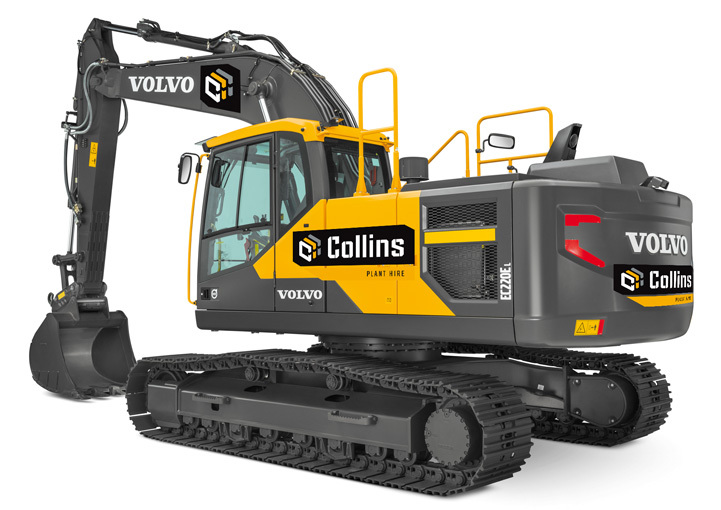 The client had the idea for a motif made up of the three letter C's of Collins Civils & Construction, and had already purchased two Volvo excavators for the basis of the plant hire business. Drawing on the angular style and colours of the Volvo plant, Zetagram developed a logo design with a blocky, robust feel, and created a mock 3D arrangement for the C's by stacking them in a row. When applied to the plant as vehicle graphics, the new design combined with the Volvo style to make a consistent and professional image within a cost-effective budget. To help promote the hire business, Zetagram assisted Collins Plant Hire by planning and developing written content and shooting custom photography. This content was then structured and coded as a custom designed brochure website, to help present the business on the web and rank in search engines. To support the marketing material, Zetagram also provided design services for stationery and docket book printing, and developed artwork for promotional and safety clothing.